The nursery is in a large detached villa with front and back gardens. We are registered for 25 children. 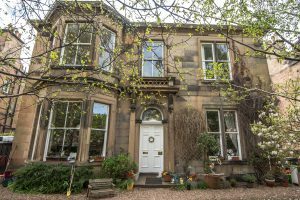 You can reach our nursery by catching buses 11,16, 45 and 23 to Bruntsfield Place. When coming from town Forbes Road is the turning just before the bus stop on the corner with Lloyds chemist.